The damage boost is an important boost that helps double a user's damgae for a short while. In dealing with some large mutants with high health and defense like the drill-mechs, the damage boost can help out the situation by reducing the number of shots needed to take them down. It is especially useful in situations where firing at a mutant continuously is not possible. It is also very useful against multiple shamans in coop multiplayer where the dark shamans are healing each other together with a group of other mutants. 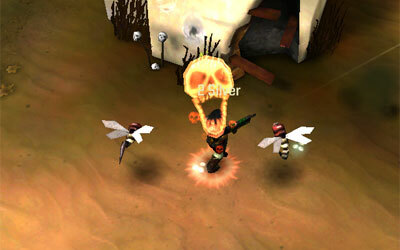 Using a damage boost allows a player to damage the mutants much faster than the shamans can heal. It is also useful against dark shamans directly as it helps one to do one-hit kills when used together with strong weapons like the crossbows, completely eliminating their chance of healing.